Intel’s 2nd Generation of Core processors take the many successful aspects of existing Intel processor technology with the latest research and added benefits of many decades producing top notch processors. Advancements in GPU integration, memory controllers, turbo boost, and Smart Cache enables the 2nd Gen Core series to excel in all areas surpassing expectations. The i7-2600K is the ultimate smart performance processor providing ample power to perform flawlessly even under the highest load. Digital age computing brings resource intense tasks such as video rendering/encoding, photo editing, Blu-ray/HD/3D content creation, and encryption. Multitasking on the 2nd Gen core series is painless. Tasks such as HD video encoding would previously require a PC dedicate the major of its resources to the single task, leaving the PC unusable until the encoding was complete. 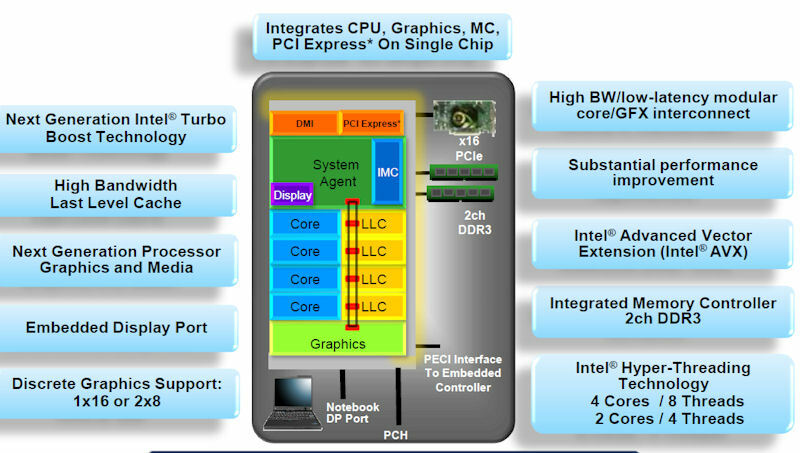 With exclusive technologies such as Quick Sync built-in to the 2nd Gen series of processors complemented by features of the Sandy Bridge chipset a 2nd Gen core system will perform multi-tasking of even intense tasks with ease. Basically this feature enables the processor to clock up and down depending on demand, more power when you need it, less power to save battery when there is less demand. Enables professional-grade audio capabilities with multi-channel bit streaming support for Dolby* TrueHD and DTS* Premium Suite. 2600k @ 3.6, Turbo booster to 4 gigahertz, Msi P67a-gd65, Corsair Vengence 1600 8 gigs(1.5), Msi gtx 560 ti Frozr 2 overclocked. Very awesome system! Plays everything I throw at it! This system will last for years!